Rumput Kroncong troupe from the United States performs on the Gesang Stage, Omah Sinten, Ngarsopuro, Surakarta, Central Java, on Wednesday evening. Based in Richmond, Virginia, the US, Rumput also plays various styles of "kroncong" music such as Langgam, Original Kroncong and Stambul. 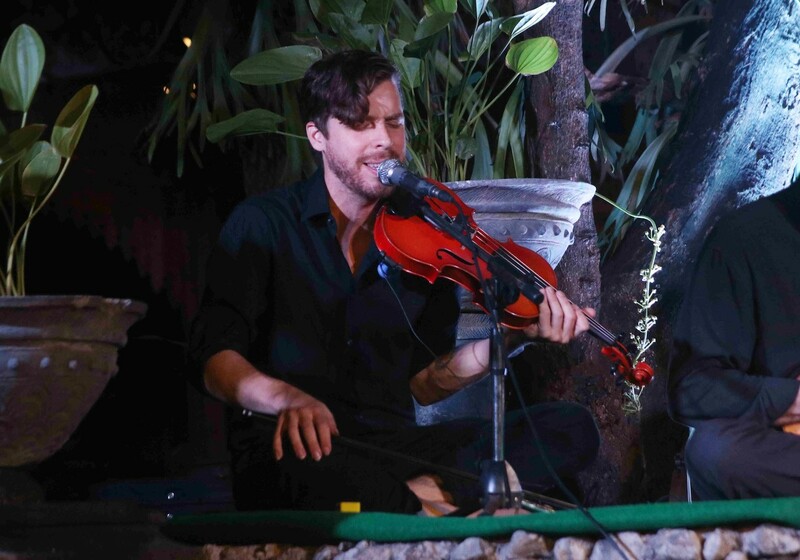 Paul Wilson, Rumput kroncong troupe's violinist. 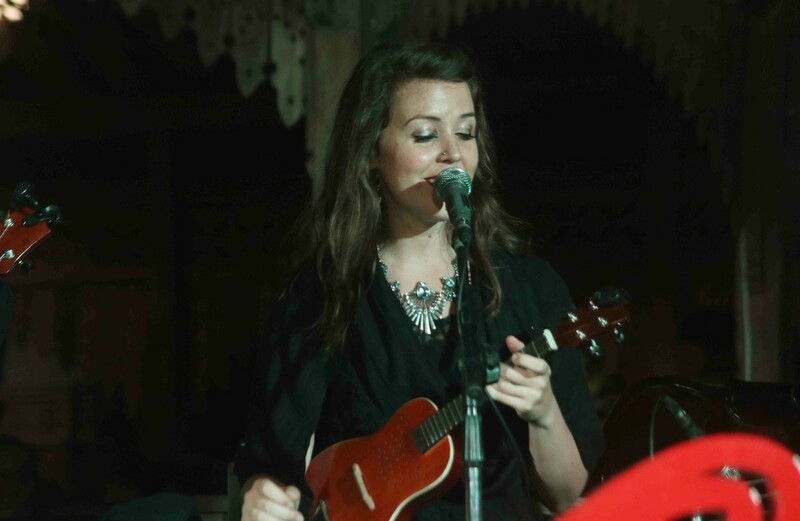 Hannah Standiford, frontwoman of the US-based Rumput kroncong troupe. 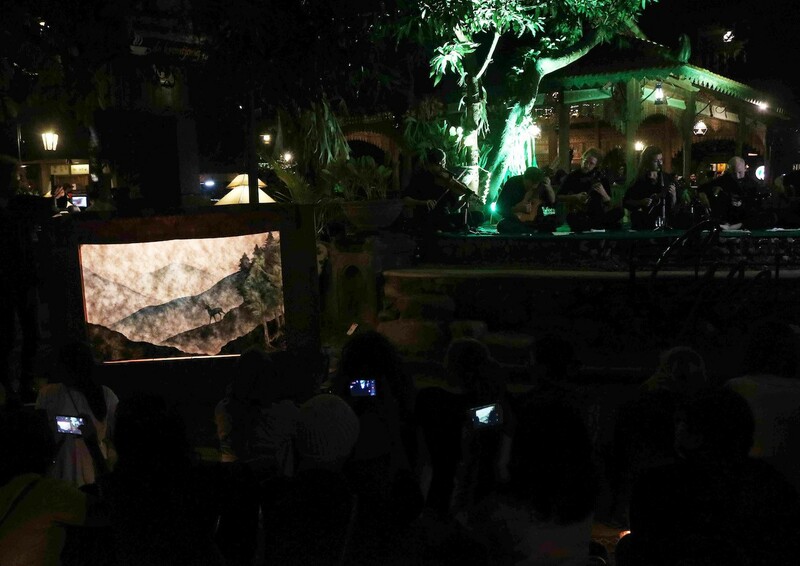 Rumput kroncong troupe combines their music with crankies, a traditional American performance that resembles Indonesia's own "wayang beber" (paper shadow puppets). Orkes Keroncong (Kroncong Troupe) Rumput from the United States gave an excellent performance on Thursday, in the monthly Keroncong Bale concert at Balai Soedjatmo, Surakarta, Central Java. Helmed by Hannah Standiford, Rumput delivered its kroncong (Indonesian folk music) tunes with a combination of crankies, a traditional American folk art that resembles Indonesia’s wayang beber (paper shadow puppets). 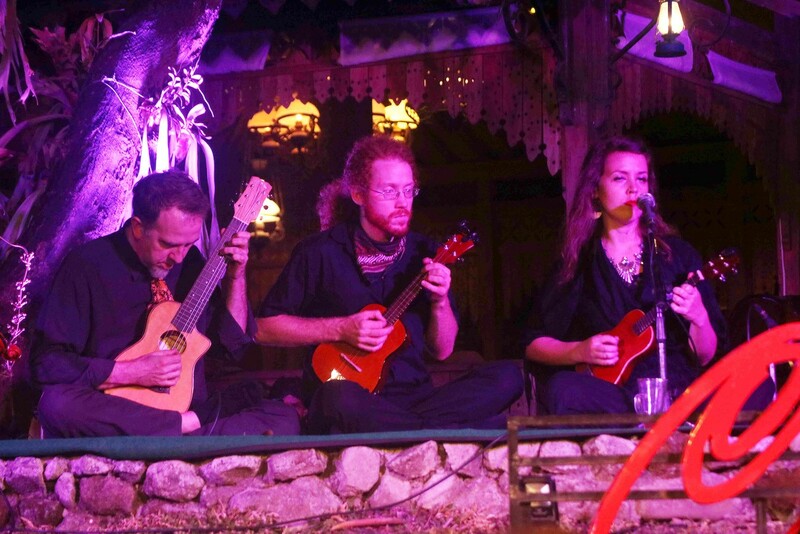 The performance featured a new song called “Akar” as the background music to the American classic tale, Jack and The Beanstalk crankies show. 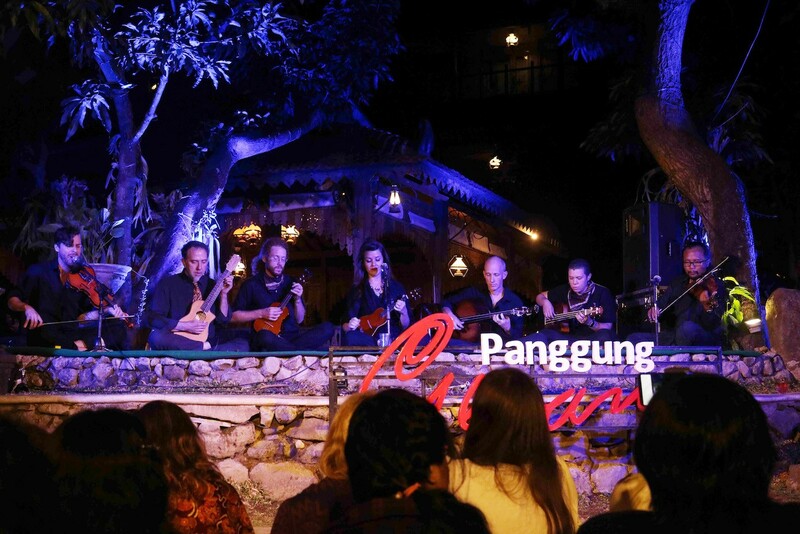 The Akar repertoire highlighted dominant violin tunes that the kroncong exuded a thick country flair. Two three-string guitars improvised among Hannah Standiford’s vocals. “Thank you, Solo, for being a part of our journey after Surabaya, Jakarta, Bandung and Salatiga,” Hannah said to the audience.